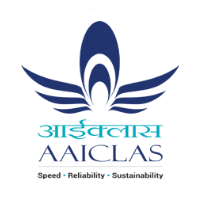 AAICLAS Recruitment 2019: AAI Cargo Logistics & Allied Services Company Ltd (AAICLAS) notifications for Executives in various disciplines & Security Screeners for Any degree graduates. The detailed eligibility and application process are given below. Experience: 01year post qualification experience in the field of Human Resource Management. Age limit (As on 01.12.2018): 25 to 35 years. Selection will be through an interactive interview with the AAICLAS Management. Mode of Payment: Demand Draft – Drawn in favour of ‘AAI Cargo Logistics & Allied Services Company Limited’ payable at New Delhi. How to apply AAICLAS Recruitment for Executive? All interested and eligible candidates can download an application form AAICLAS website (www.aaiclas-ecom.org) & send duly filled application form along with required documents to the following postal address on or before 20 December 2018. Graduate in any discipline (minimum 3 years duration) from any recognized University with ability to speak Hindi, English and conversant with local language. MUST possess valid BCAS Basic AVSEC (12 days new pattern) Certificate. Age limit (As on 01.12.2018): Below 45 years. AVSEC Candidates: Shortlisted candidates will be called for Interview. Non-AVSEC Candidates: Selection process will be based on Physical Endurance Test (PET), Written Test and Personal interview. How to apply AAICLAS Recruitment for Security Screeners? All interested and eligible candidates can download an application form AAICLAS website (www.aaiclas-ecom.org) & send duly filled application form along with required documents to the following postal address on or before 15 December 2018.